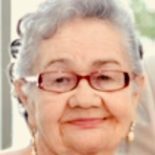 Carmen Soto Hernandez Arocho | Lloyd Maxcy & Sons Beauchamp Chapel, Inc.
Carmen Soto Hernandez Arocho, a recent resident of New Rochelle, passed away on September 2, 2018. She was 83. Carmen was born on March 24, 1935 in San Sebastian, Puerto Rico to the late Pedro and Manuela Soto. Her husband Angel Arocho survives her, their children Angelica Arocho, Anita Leslie and her husband Stuart their children Lucas and Julia. Carmen and Angel’s grandchildren Joshua Moreno Sr. and his wife Jaclyn and son Joshua Jr. Their grandson Peter Moreno and his wife Malinda and their daughter McKayla. Carmen immigrated to the United States in 1955 after marrying her love Angel Arocho. They like many before them were looking for employment and better opportunities. Angel worked many jobs to make ends meet while Carmen stayed home and cared for their five children. Carmen spoke very little English while raising five children, Mageli, Nancy, Angelica, Angel JR and Anita in Manhattan Lower East Side. Carmen and Angel were married for sixty-three years. According to Angel, he instantly fell in love with her while she was hanging drapes in her home. “Her cheeks were rosy and her hair was tousled”. Carmen enjoyed cooking. As a matter of fact she cooked, managed to sew curtains and a lot of her children’s earlier clothing. Carmen enjoyed cooking so much that her children often threatened to move her bed to the kitchen. Food was her way of expressing love “sientate y come” (sit and eat) was often heard in the household. Carmen didn’t cook small portions. The word must have gotten out because her friends and relatives would often linger just in time for dinner. Carmen had a family of seven yet she could easily feed twelve! The Arocho family will forever be grateful that Carmen was surrounded with family in her last year of life. Carmen was able to spend more time with her grandchildren and her great granddaughter Mckayla Mageli Moreno.